Pictures courtesy of Kevin Goodwin. 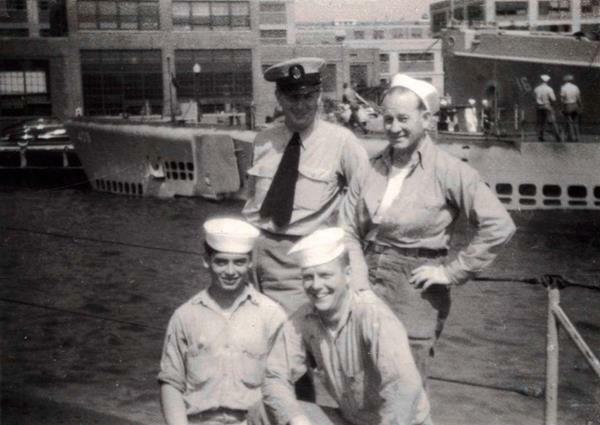 Four Unidentified crew members on deck. USS Piper SS-409 behind, with USS Tringa ASR-16. 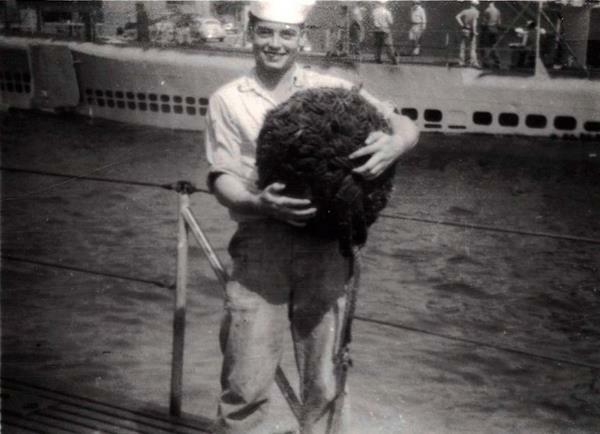 Unidentified crew member on deck with a huge "heavie". 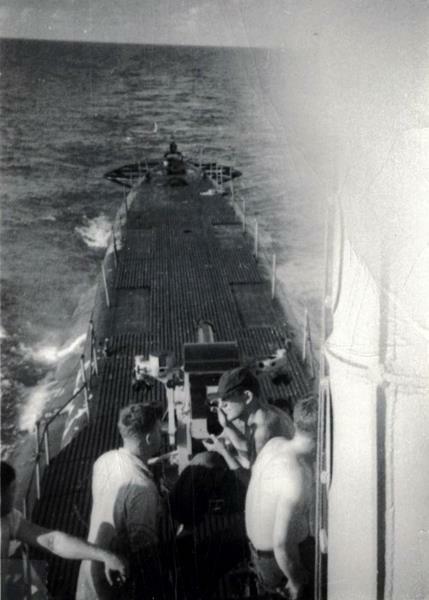 View over stern while underway, unidentified crew members on deck. 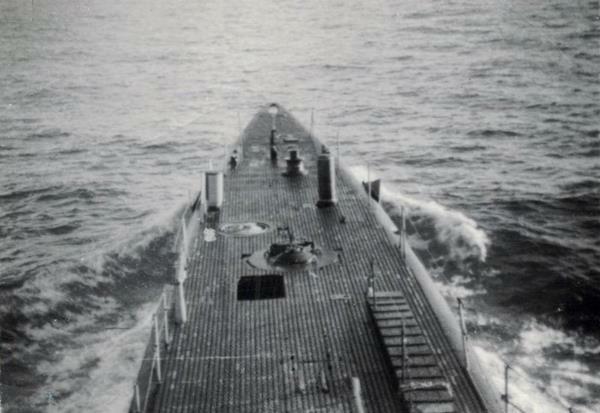 View over bow while underway, likely taken from Lookout Station. Note the lifelines rigged and the gangway on deck. 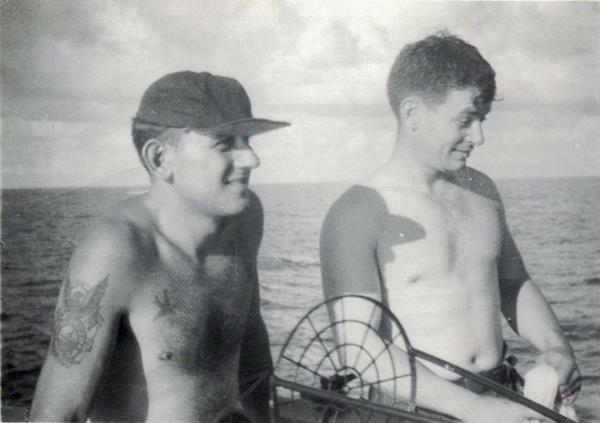 Unidentified crew members on deck. Location is Cigarette Deck with part of the 40MM Gun visible.